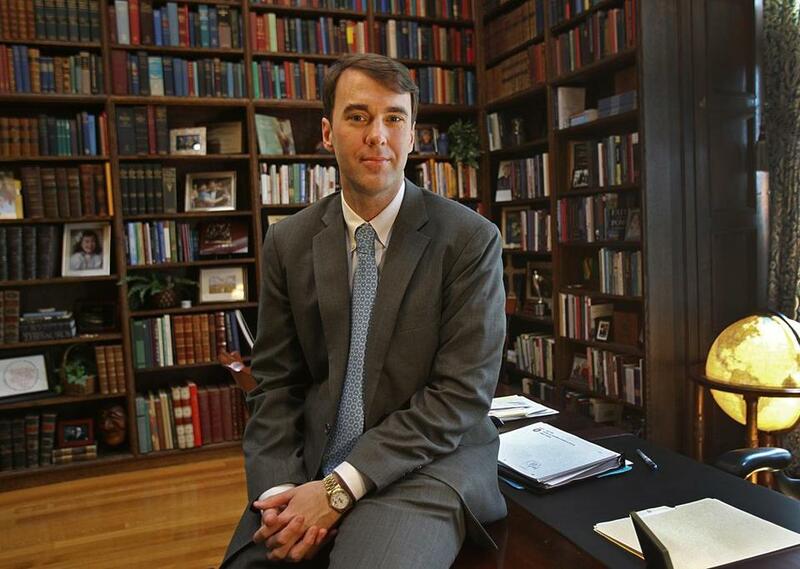 The faculty complained that President D. Michael Lindsay made decisions unilaterally. Gordon College’s president had faced faculty criticism over his leadership a year before he caused a firestorm this summer for supporting a religious exemption to workplace protections for gay and transgender workers. In hindsight, professors say, many of their prior concerns foreshadowed the uproar that ensued in July after campus President D. Michael Lindsay and 13 other religious leaders signed a letter to President Obama calling for the exemption to the federal hiring rules. Faculty at the Christian school in Wenham complained at a meeting in May 2013 that Lindsay and other top leaders made significant decisions unilaterally, according to a written summary of the meeting provided to the Globe. Professors at the meeting expressed angst over topics including “the spiritual direction of the college,” saying recent moves by administrators were narrowing Gordon’s religious identity. About 65 professors, or about two-thirds of the college’s full-time tenure and tenure-track faculty, attended the meeting, the document said. “Concerns that faculty already had — some of that was borne out by the events of the summer,” Philosophy Department chair Mark Gedney, a Gordon alumnus, said in a recent interview. Lindsay, students, faculty, and others have stressed that the campus remains diverse and tolerant. Lindsay has defended his support for the exemption, saying his “sole intention” was to affirm the Christian school’s support for religious liberty. Campus spokesman Richard Sweeney said that Lindsay, who became Gordon’s president in 2011, met with professors about their concerns a week after the 2013 faculty meeting, and the school’s leadership had worked diligently to address the complaints. “Some of these concerns raised here have already been addressed,” Sweeney said. “I think we’re in a better place now in terms of what the community is working through together,” he said. The fallout over Lindsay’s support for the exemption attracted national attention to Gordon, sparking criticism that many say belies its reputation for tolerance. Salem officials ended a contract allowing the college to use the city-owned Old Town Hall. The Lynn public school district severed a longstanding partnership with Gordon that had sent college student volunteers to city schools. Hundreds of students, faculty, and alumni signed a petition calling on the college to reverse its position and some wrote to the White House in support of the rules banning discrimination. “There seems to be less appreciation for the diverse and plural ways that faculty understand their faith journeys,” according to the summary. But Barthold said that while administrators made subsequent efforts to communicate more openly and to consider input from faculty and other stakeholders, the results have been disappointing. Professors acknowledge that they, too, have not moved quickly enough to foster better communication with the administration and for faculty to improve how they govern themselves. @globe.com. Follow him on Twitter @mrochele.